Experts say there has been an “epidemic” rise in teen use of e-cigarettes, which are typically sold with liquid nicotine that comes in a variety of tantalizing flavors that appeal to young people. 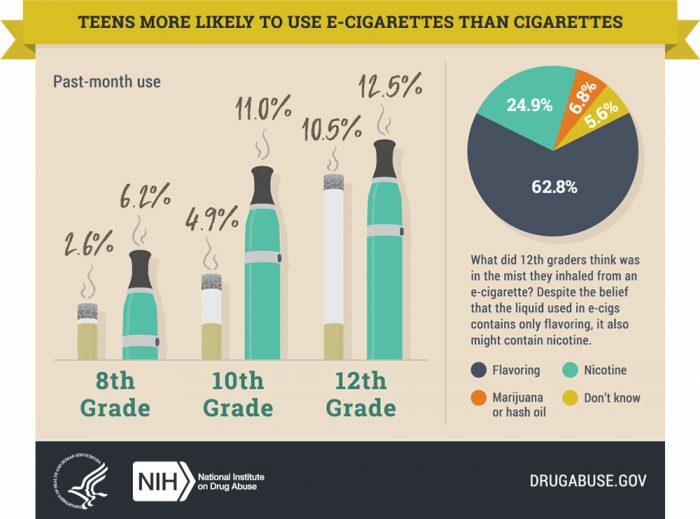 About 97% of the e-cigarette market is dominated by Juul, MarkTen, Vuse, Blu, and Logic, according to the FDA. Over the next 60 days, the 5 companies’ marketing and sales practices will be under intense scrutiny by the health regulator, and they could face “boots on the ground inspections,” Gottlieb said. The commissioner said the FDA will also increase federal enforcement actions on e-cigarette sales to minors in convenience stores and other retail sites. ﻿ On September 12, the FDA announced “historic action” against upwards of 1,300 retailers who illegally sold Juul and other e-cigarettes to kids over the summer months of 2018. According to Gottlieb, it was the largest coordinated enforcement effort in the agency’s history. The agency will closely investigate “straw purchases” in which adults purchase e-cigarettes in bulk from online stores and resell them to minors. It is illegal to sell tobacco products to youths under 18. Manufacturers who choose not to investigate these bulk purchases will face “appropriate consequences,” according to the FDA commissioner. 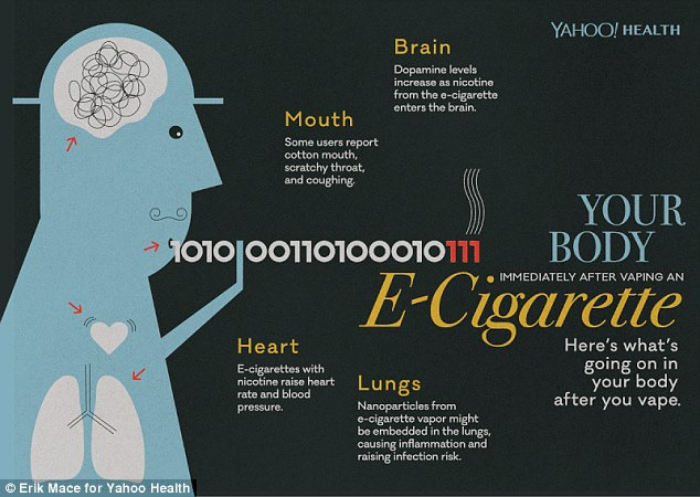 Read: 30 Minutes of Vaping Equals 5 Minutes of Cigarette Smoking? The e-cigarette manufacturers say they will comply with the new rules and that they are working with the FDA to ensure young people don’t get their hands on their products. A report released in January by the National Academy of Sciences, Engineering, and Medicine suggests that e-cigarettes pose health risks, though they may be less risky than traditional cigarettes. Health experts are more concerned that e-cigarette use could lead to the use of traditional tobacco cigarettes, however.